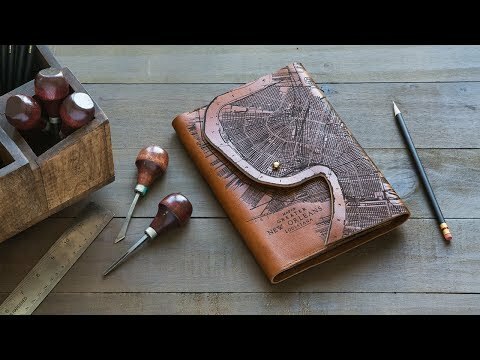 A fresh take on a traditional craft, these etched leather notebook covers and passport wallets are built to last a lifetime and pay tribute to your favorite city. They’re made entirely in America with incredible attention to detail. Makers Sarah Kirkham and Anna Warren, who live in Milwaukee, decided to source their materials and do all manufacturing locally. 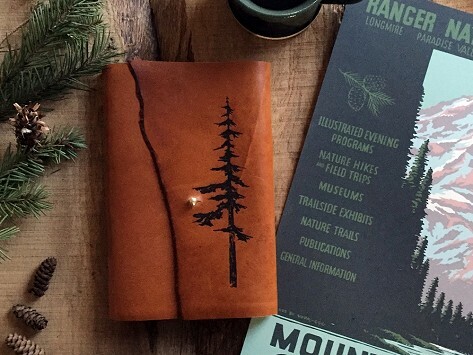 The supple leather hides come from a local Milwaukee tannery. They are hand-cut and laser-engraved with antique, early 20th-century maps of U.S. cities right in the Maker’s hometown. Since everything is so close by, Sarah and Anna are engaged at every stage of the process, from hand-selecting the materials to adding the finishing, post-technology touches to their work.